Many fathers with young children are often tasked with coming up with Mother's Day gift ideas for their wife. Husbands usually take on this responsibility because they want their wife to have an amazing Mother's Day celebrating all she does for the family throughout the year. 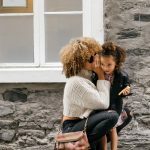 Since it is sometimes hard to come up with something mom really wants, we have rounded up a few ideas guaranteed to make her smile. 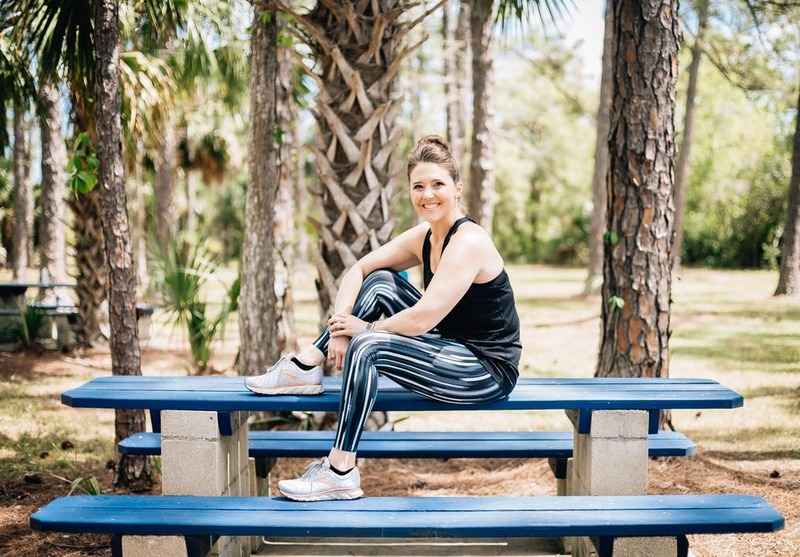 Whether she's a fitness buff, yoga mom or just looking to get in shape for bikini weather, Lululemon has gear designed to support all the reasons she runs, and is the perfect gift to inspire all of your wife's goals this spring. Not sure where to start? 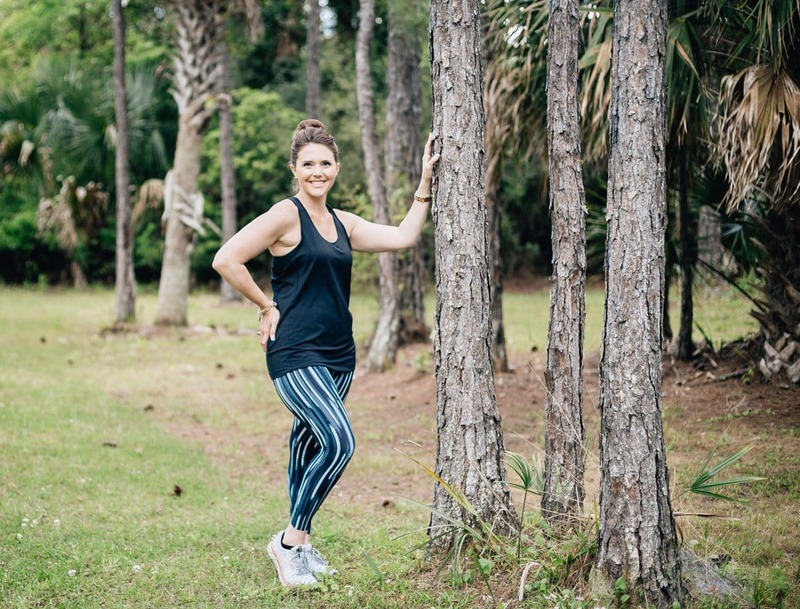 We highly recommend Lululemon's leggings - specifically, a pair of Align crops. 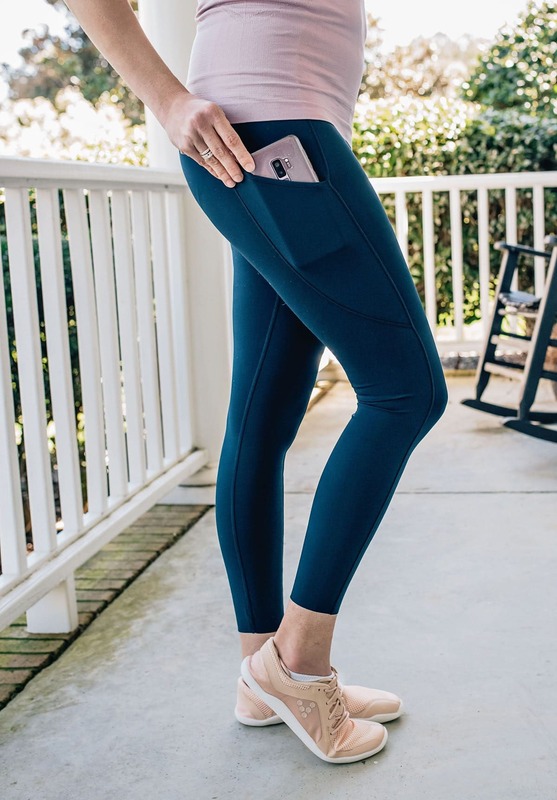 These lightweight, high-rise cropped leggings are designed to minimize distractions and maximize comfort as you flow through your yoga routine. 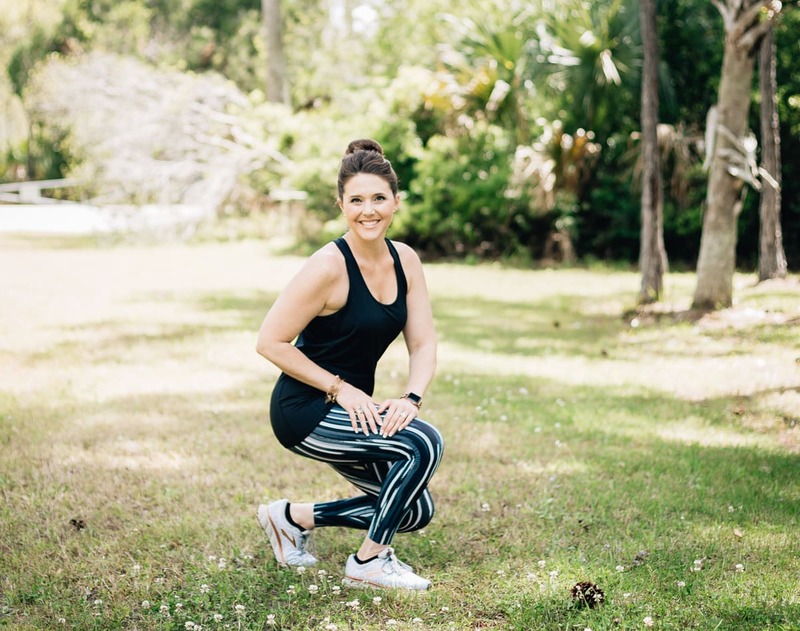 Made with Nulu fabric that is buttery soft, sweat-wicking and stretches four ways, she'll want to wear these leggings way beyond the yoga mat. 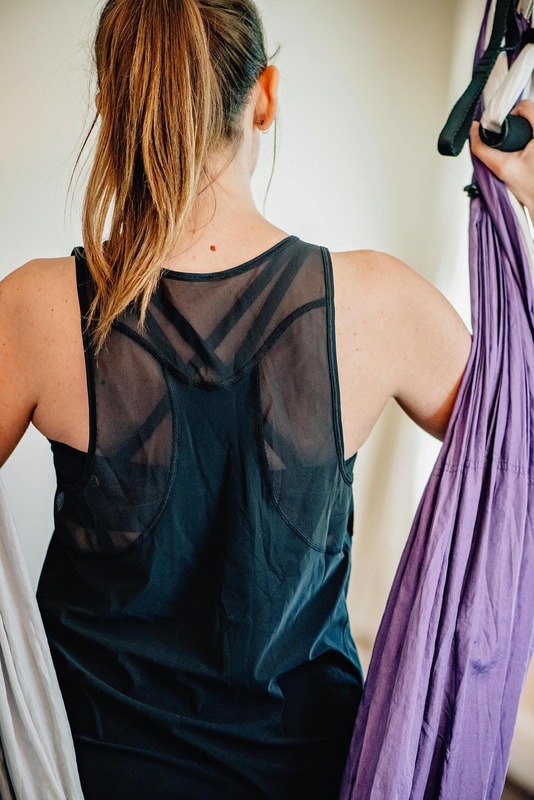 Make it an outfit with an Energy Bra that is just as soft; and a Sculpt Tank II. The all black look is perfect for any woman. 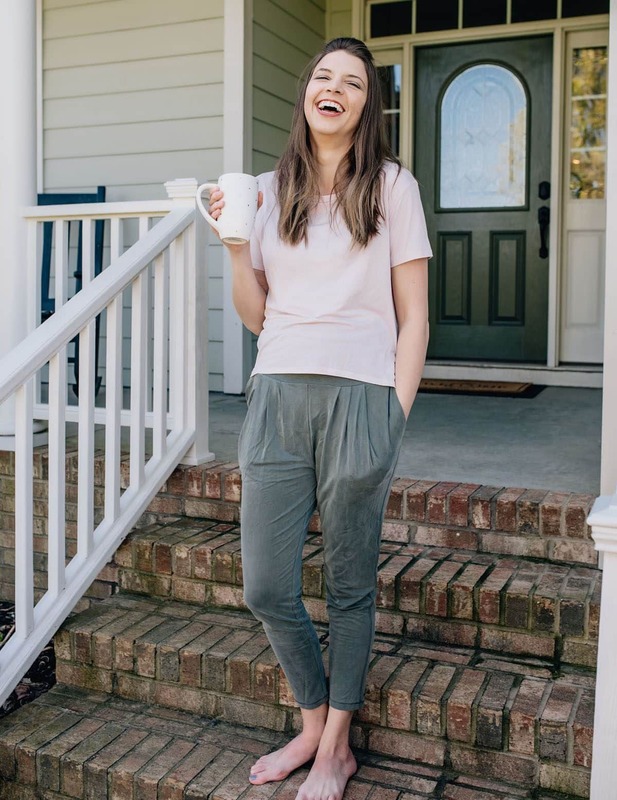 If you know that mom will get excited over leggings with a pocket (note: we all like leggings with pockets), then get her the Fast and Free HR 7/8 Tight. These are perfect for running fast, whether that means in the context of fitness or errands. 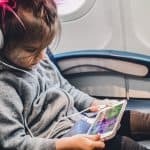 And the side drop-in pockets are perfect for stashing your phone meaning less baggage if you need to haul along a little one. 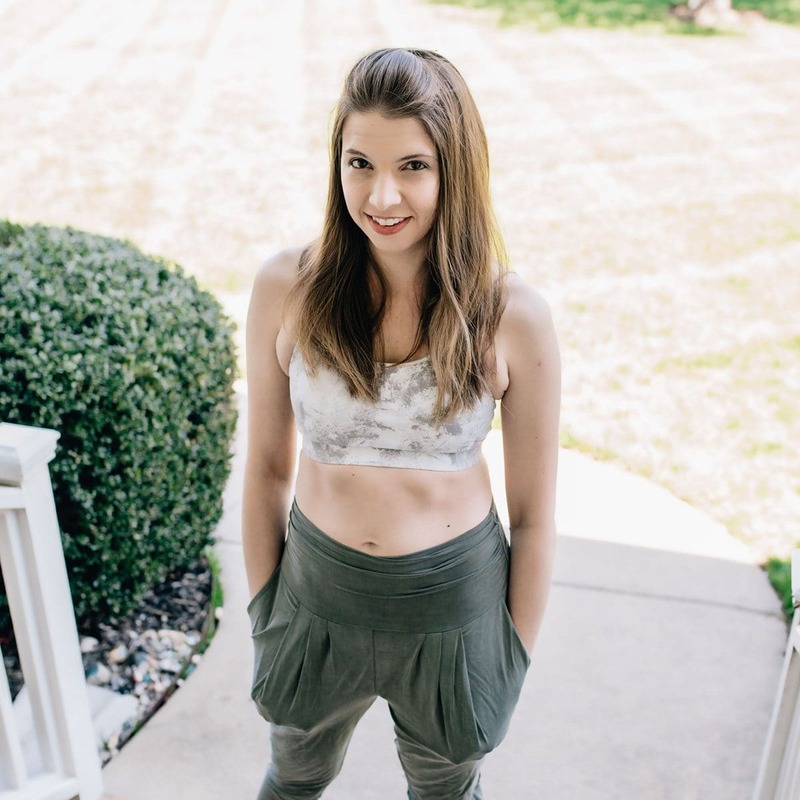 Pair with it a Flow Y Nulu Bra and a Swiftly Tech Racerback made of anti-stink technology and you've got an outfit perfectly designed for the "mom-on-the-go." 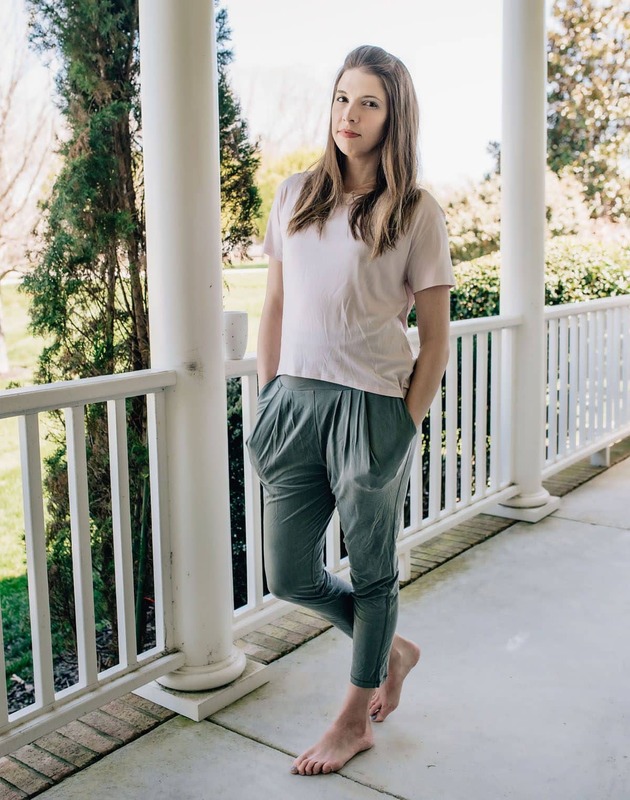 Finally, for moms who like to stay comfortable all day, but also want to change out of their pajamas, we love the Into Something Good pants with the Invigorate Bra and Fall in Place Short Sleeve shirt. Sure she could do yoga in this ensemble, but let's be honest - mom needs lounge wear too! 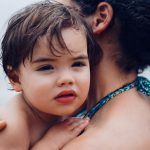 The mothers in our lives keep us moving forward, keep us focused on success, and even keep us grounded when it seems our lives are spiraling out of control. 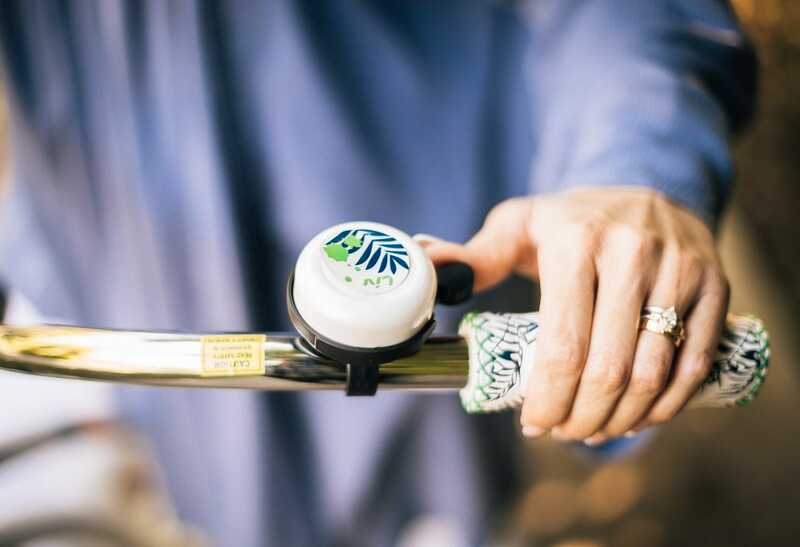 This Mother's Day select a gift that keeps mom moving, gives her a time out from the daily grind, and takes her back to a simpler time with a bicycle built for her. 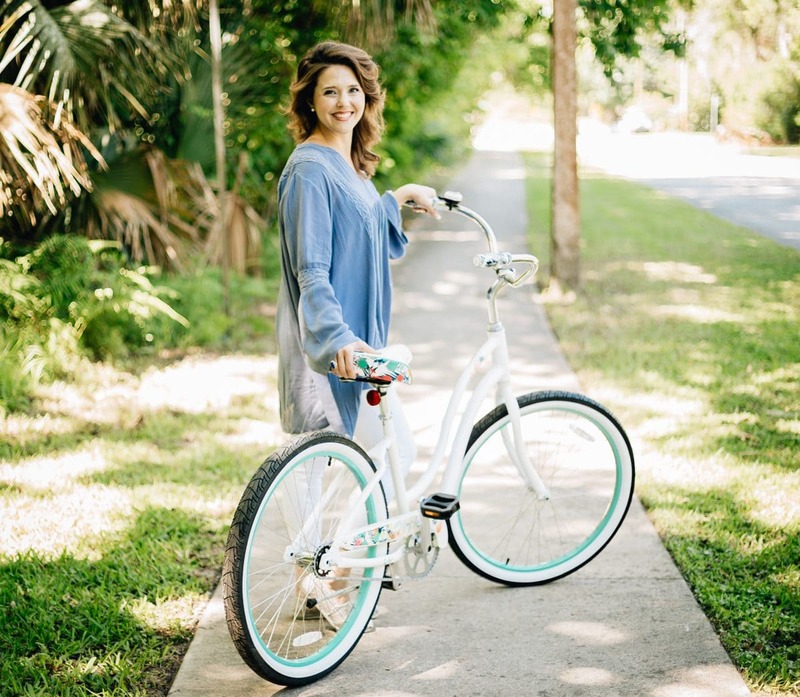 Whether her childhood was spent cruising the beach, riding through the neighborhood with friends, or mountain biking across tough terrain, moms everywhere are sure to love the fun and practical gift of a bike this Mother's Day. 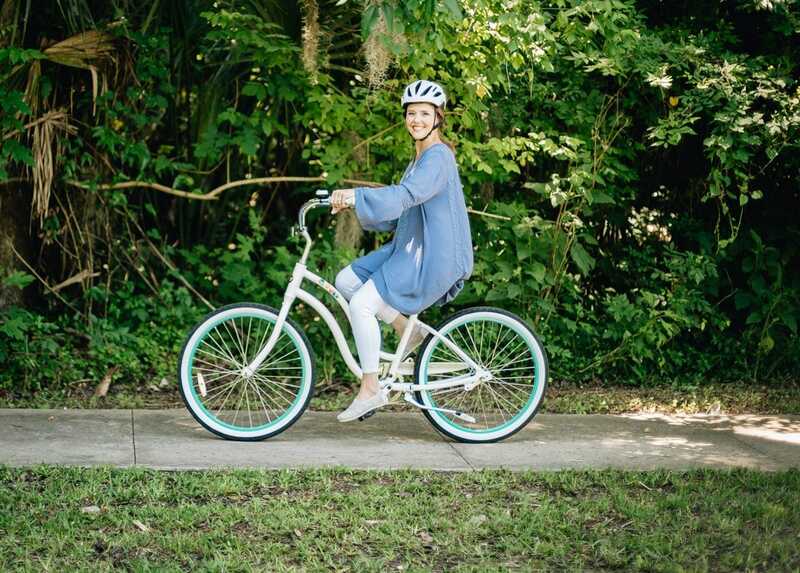 Whether she is more of an urban explorer, outdoor adventurist, or laid-back lady, Liv is sure to have a bike that meets her needs and her style. Women all come in different shapes and sizes and Liv knows that, so with frames that fit her size, and components that respond to her strength, Liv's bicycles are designed from the ground up for the rider herself. 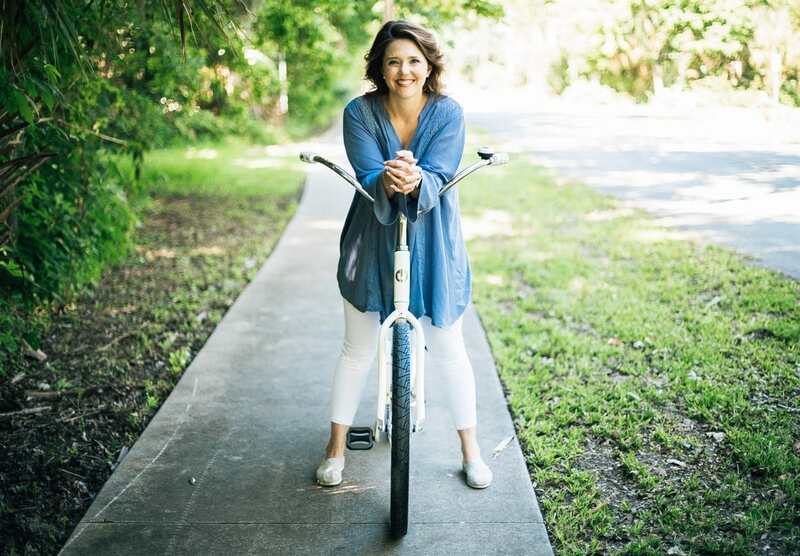 From riding around the park with the kids to taking a long, powerful solo ride for exercise, clarity, and a bit of self-care, any mom will enjoy the great outdoors this spring and summer (and for many years to come) with a bicycle from Liv. 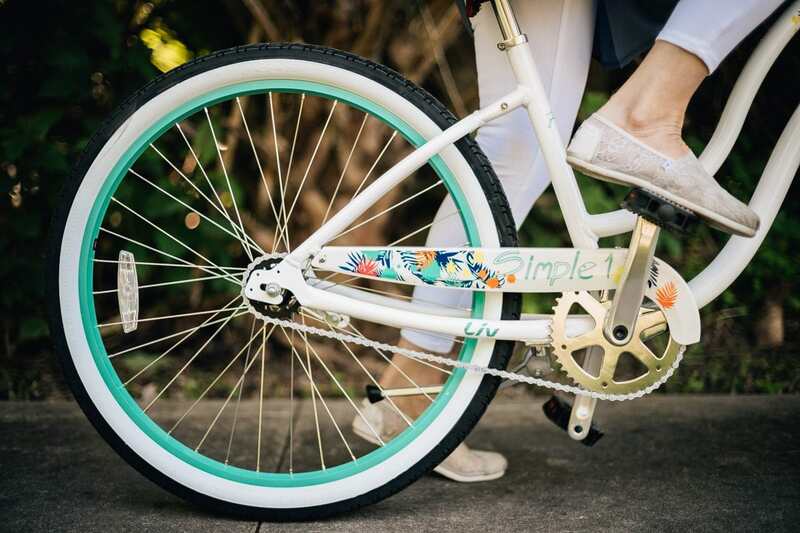 This Mother's Day we love the Simple Single W Cruiser from Liv. With a classic cruiser frame and style, this bike provides mom a comfortable ride, perfect for relaxing and soaking up the sun this season. 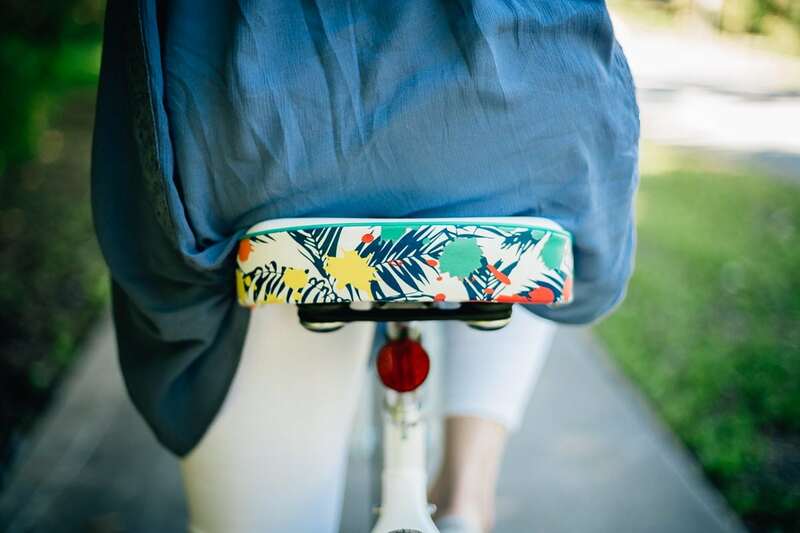 Featuring an ALUXX-Grade aluminum frame, super soft comfort cruiser saddle, stainless steel spokes and a simple coaster brake, she will ride easily and comfortably for hours, delighting in her surroundings and feeling her stress simply fade away. We know moms are all about safety so make sure to pick up a helmet for mom along with her new bike this Mother's Day. 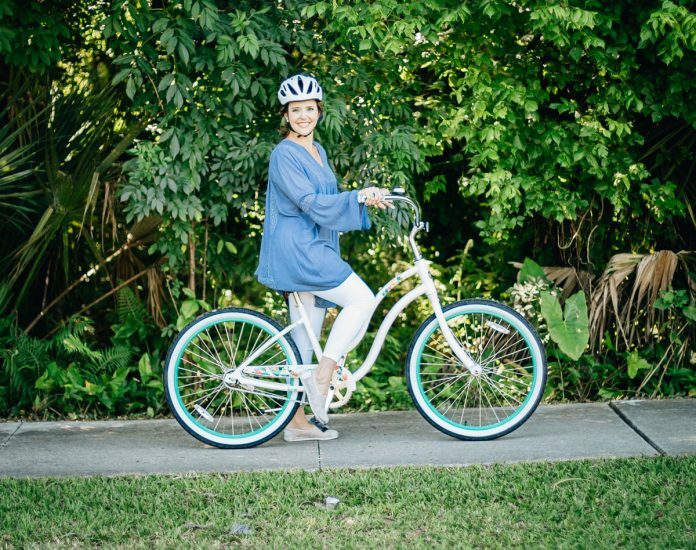 The Liv Rev Comp MIPS helmet in white matches nicely with the Simple Single W and keeps mom stylish and comfortable all while providing maximum crash protection. 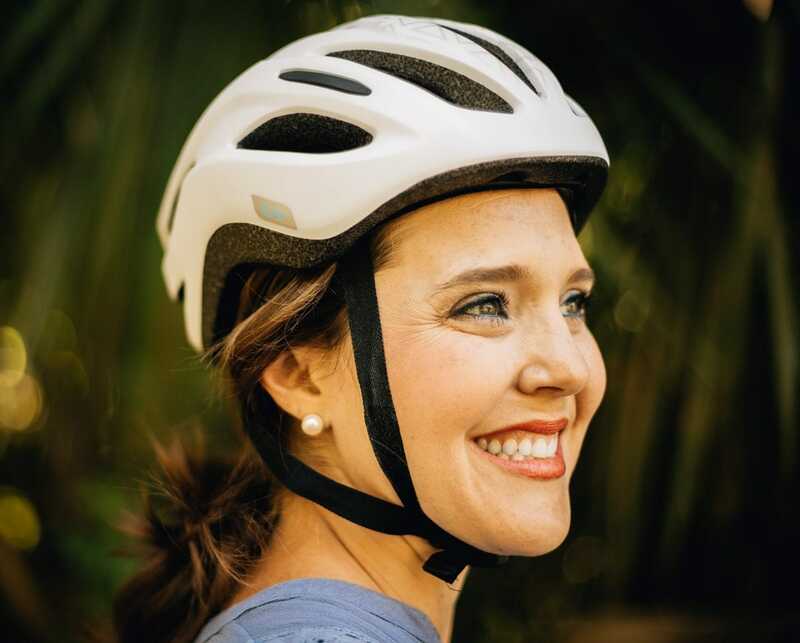 Designed to allow maximum ventilation from the Direct Flow Cooling and moisture-wicking TransTextura Plus padding, this helmet will keep mom cool, dry and on the move even during those hot summer days soon to come. Kids might keep mom running in circles all day long, but a nice solo run might be just what she needs this season. As parents we all need to take time to relax, rejuvenate, and reestablish our sense of self and there is no better way to do this than heading out doors into the beautiful sunshine for a brisk walk or a quick run. Here to make sure mom has everything she needs to keep her movin' and groovin' this season is Brooks. Just like their motto "Run Happy", Brooks running shoes and apparel are sure to put a smile on your mom‘s face this Mother's Day. 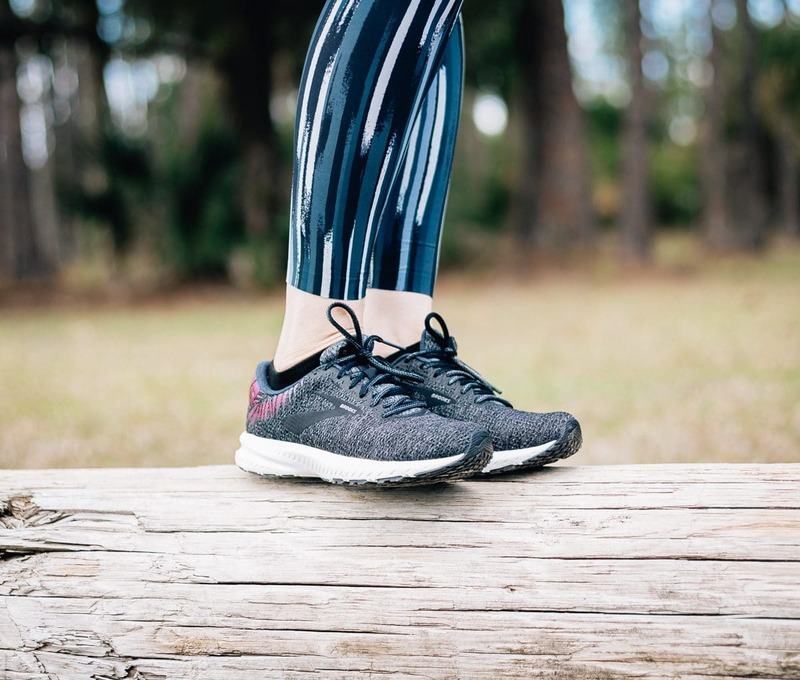 We love the new Glycerin 17 running shoe perfect for spring and summer. Available in a wide variety of colors, the newest on trend white and rose gold was our pick. 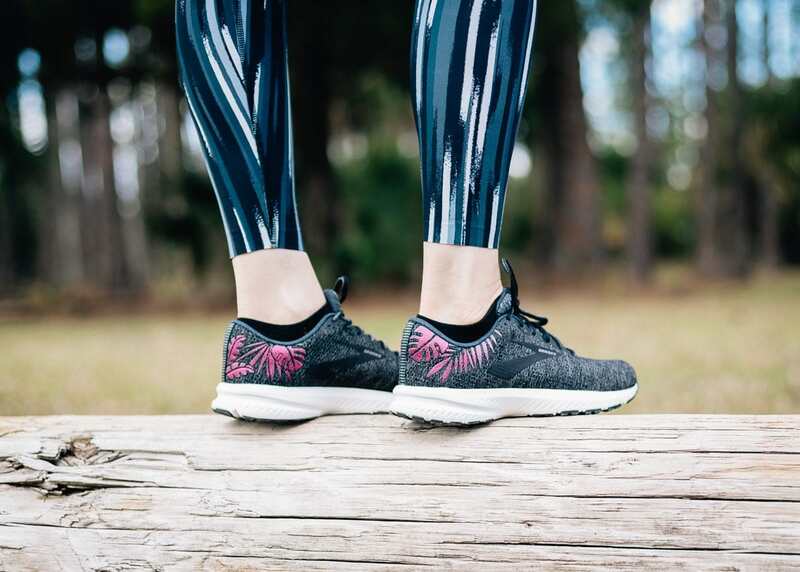 Featuring DNA Loft cushioning for a soft, superior, luxurious feeling with each step, and an OrthoLite sock liner, these running shoes make every step feel as natural and comfortable as possible. Further, the engineered mesh bootie and 3D Fit Print Technology allow this shoe to move and expand with you throughout your run giving you an effortless experience. We also love the Launch 6 running shoe for quick runs along paved roads with their lightweight and supportive cushioning. 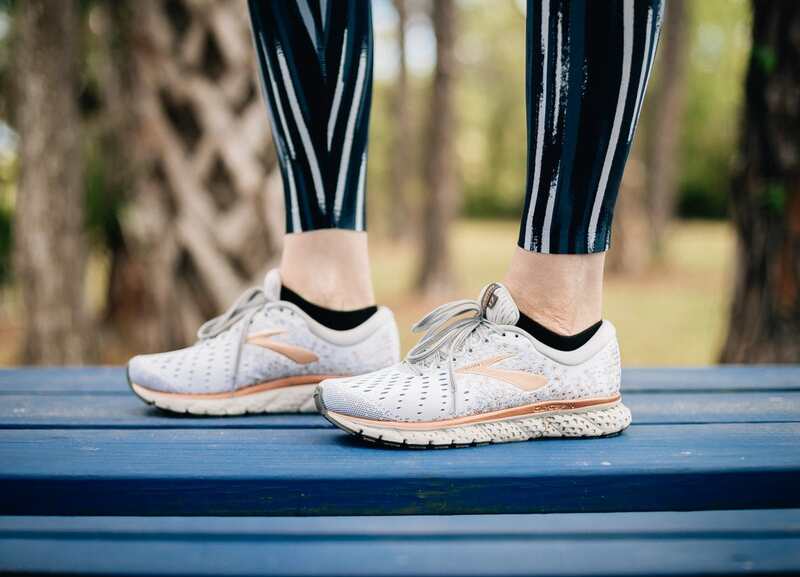 Their BioMoGo DNA midsole cushioning keeps mom springy and light on her feet. 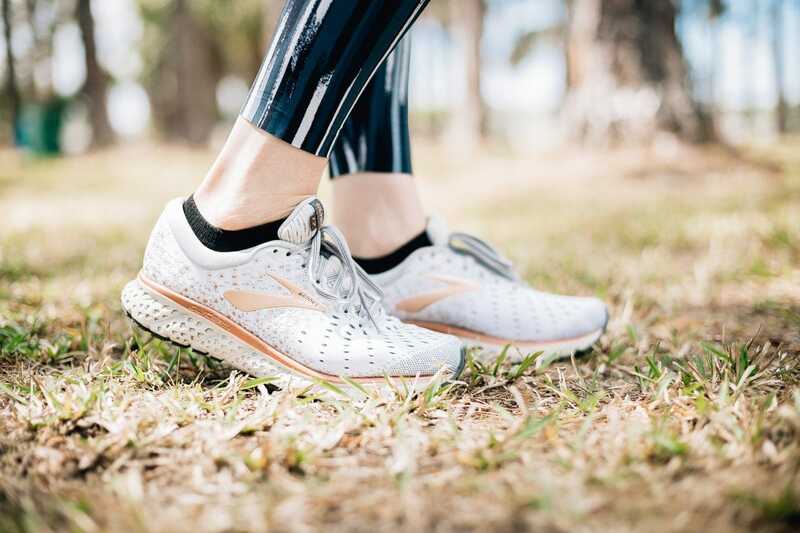 With an updated midsole with additional foam for a longer lasting, more energizing run, a saddle midfoot for an additional, more secure fit, and a midfoot transition zone for quick movement from heel to toe, mom will love her ability to move without feeling weighed down. And what good are running shoes without the perfect lightweight, breathable running apparel? 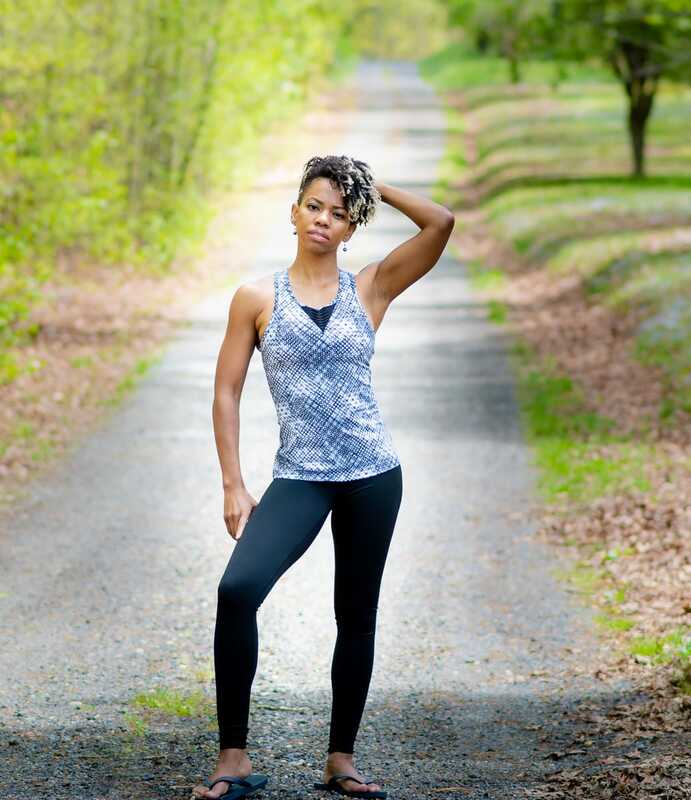 This Mother's Day provide the whole package for success with the Pick Up Tank, Hot Shot Sports Bra, and Ghost Tight. 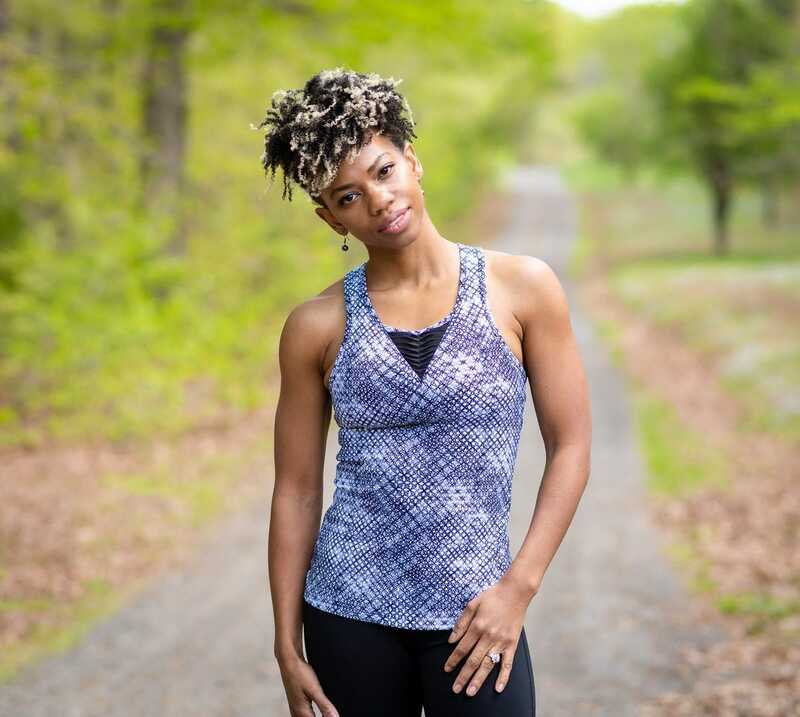 Designed for runners, the apparel from Brooks is moisture-wicking, irritation free, and stylish enough to take mom from her workout to her daily routine without having to miss a beat. 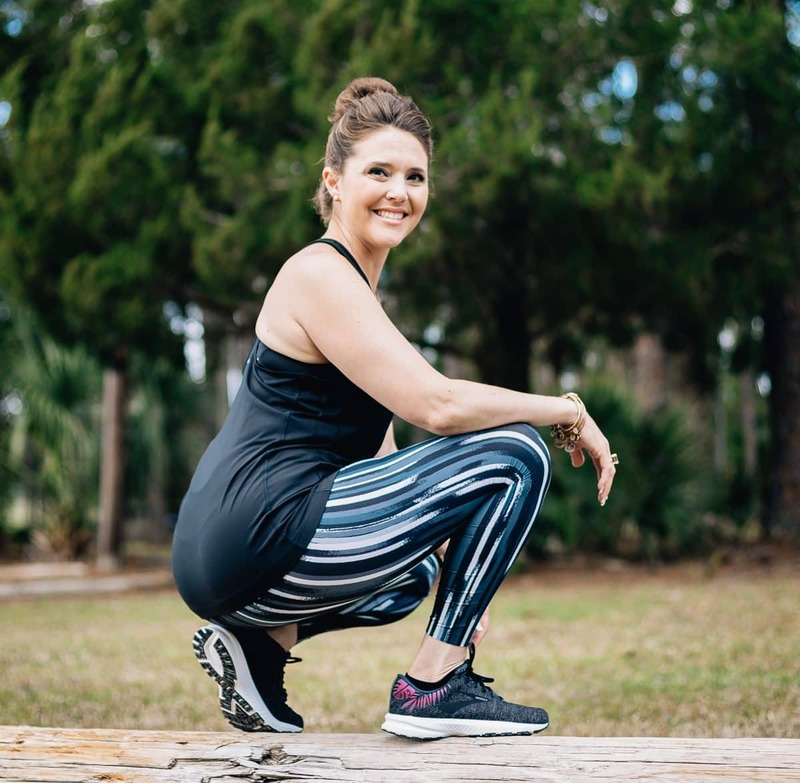 While mom may not need encouragement to run, with the right gear she may just enjoy her time out from the chores and chaos, giving her a little "me time" to recoup and rejuvenate her mind, body, and soul. For the active mom in your life, give her the gift of fashion to keep up with her lifestyle. 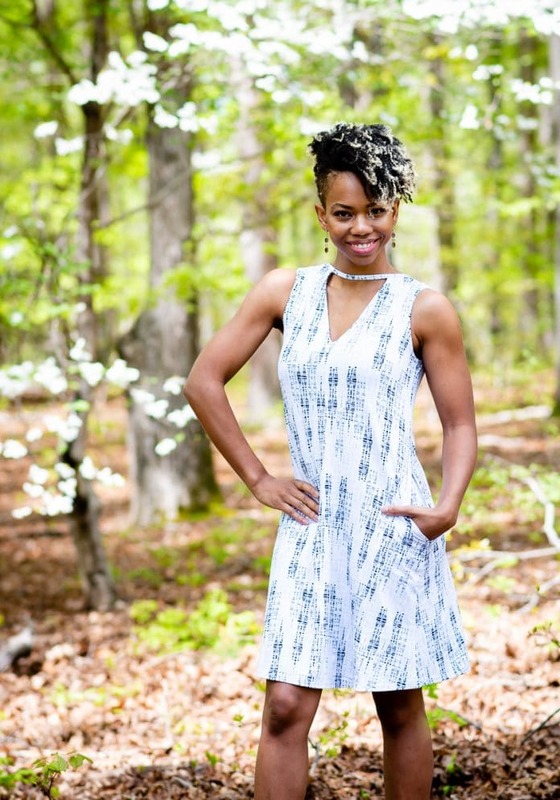 Long gone are the days of the frumpy mommy when it comes to showing up for her best self. 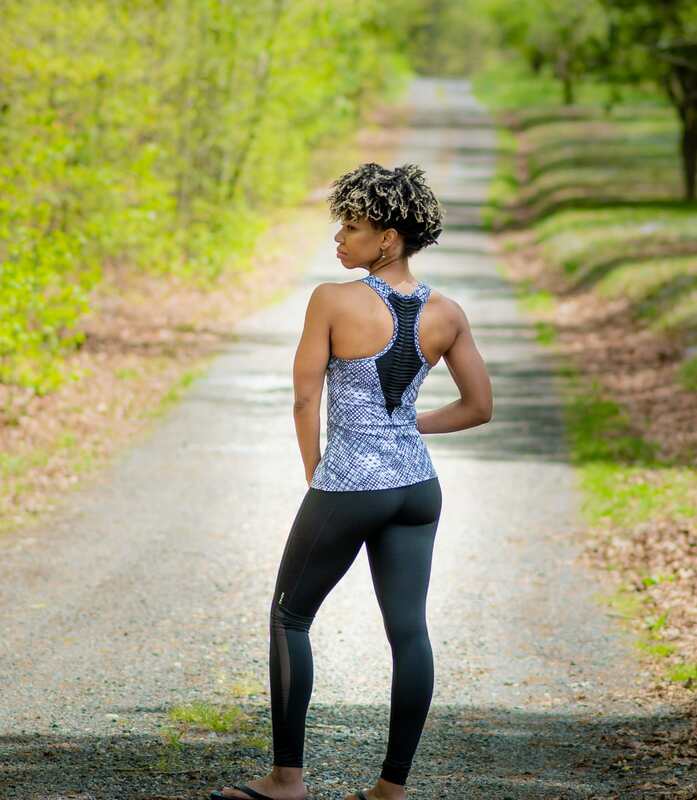 Stylish, comfortable, and high quality, mom, it is time you take care of you, and we are talking about your activewear wardrobe! Start off with a new dress such as the Crystalline Dress Aura to feel comfortable and confident in while completing your daily activities. 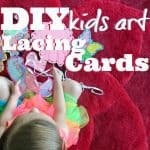 Impress your kids knowing you still have it - a sense of style! 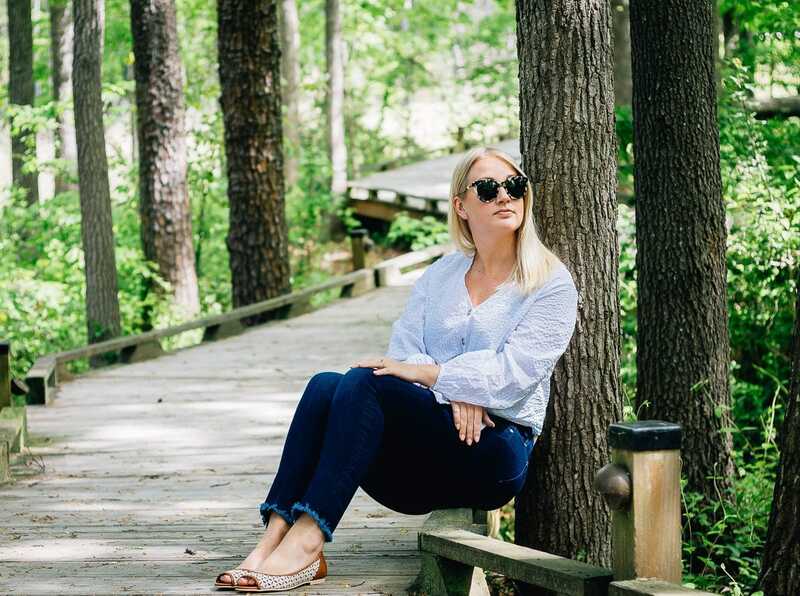 Your kids may drive you nuts but the only thing that is crazy about you is your love for the Bloom Tunic or the body-slimming tanks such as the Paschi Arrow Tank Nebula that flatter your curves but leave you feeling so comfortable. 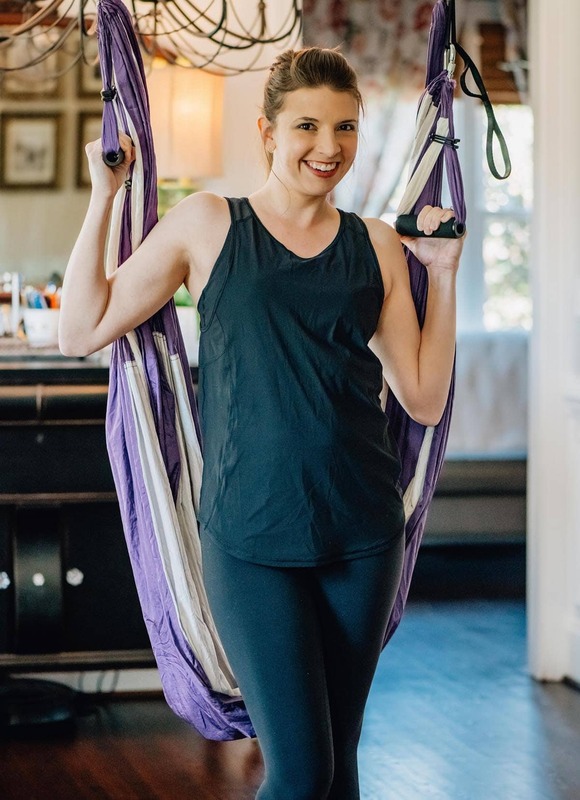 The stretch-flex system allows you to hit your workout hard while still being quick to dry. Add some color and pizazz to your wardrobe with these two leggings. The high-waisted Killer Caboose not only does what it says, but it also gives you the extra coverage you need around your lower abdomen. 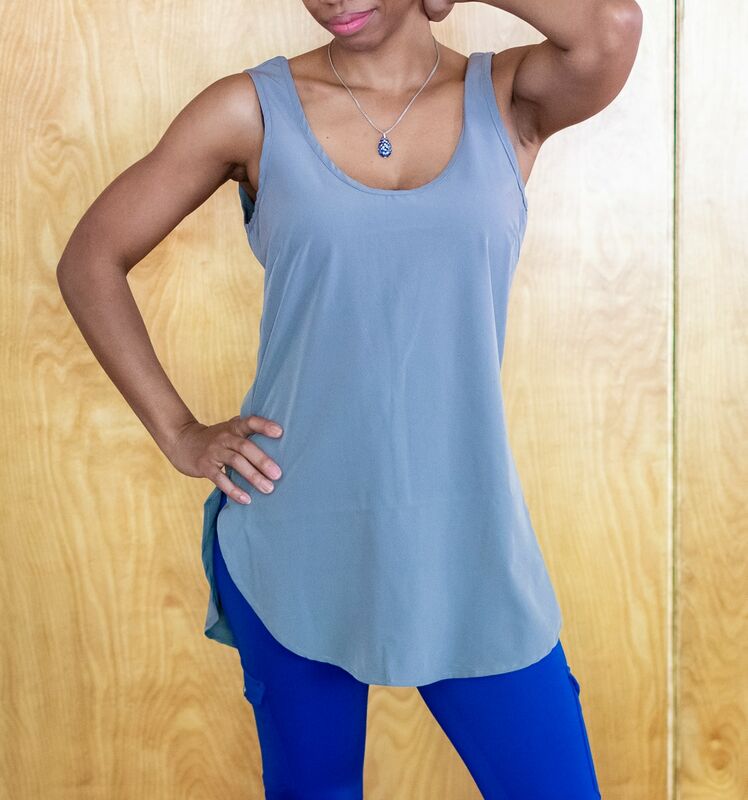 Then, when it is time to hit the town, grab these 7/8 leggings with side pockets to carry small items. Pair with some wedges or pumps and mom has a style all her own. 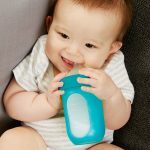 With summer just around the corner and beach body season on the horizon, moms will love a gift that helps them eat healthier. 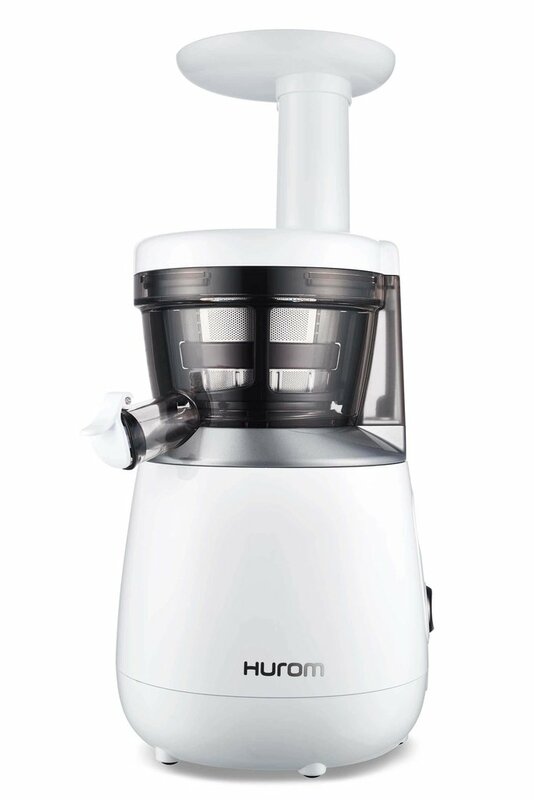 For helping busy moms fit more fruits and veggies into their life, we are loving the HUROM Slow Juicer. No matter what items she's juicing the HP Slow Juicer is the best solution. 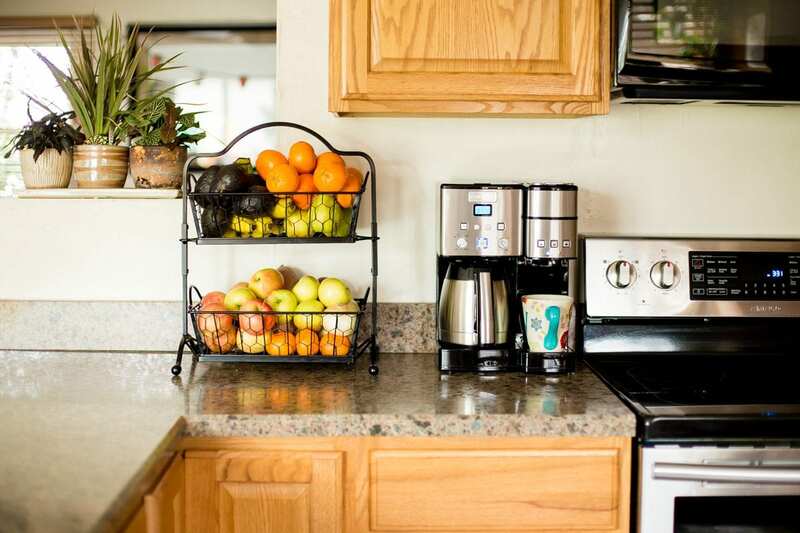 Compact enough to keep on her counter all year long, she'll enjoy fresh fruit juices, veggie blends or even making her own almond milk. Unique from other juicers the HP Slow Juicer gets every last drop of juice out of produce by using a low speed auger to create nearly bone-dry pulp. 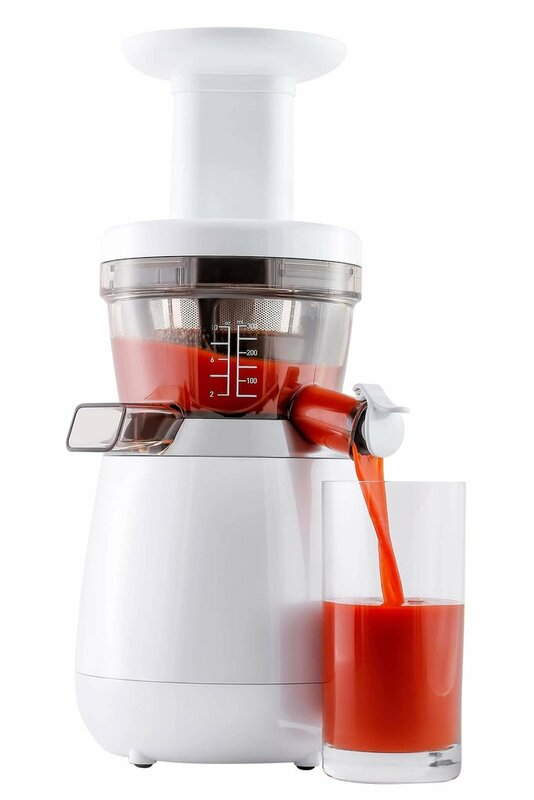 Available in one of three colors, white, pink, or mint, she'll love matching her new juicer to her kitchen colors. The quiet motor means mom can make her juice in the morning before the crew is up for school, savoring those last quiet moments while the sun rises. Juicing and juice cleanses are full of potential health benefits that can keep the mom in your life feeling great and full of energy. Juicing allows her to consume more vitamin and mineral rich vegetables and fruits while enjoying the benefits of healthy antioxidants and boosting her immune system. Do you want to spoil your mom this Mother's Day? Does she have a major obsession with shoes? A pair of new shiny shoes from French Sole would be the perfect Mother's Day gift for all the shoe addicts out there. French Sole shoes have been a fashion staple in New York City since the 1980's but it doesn't just stop there. 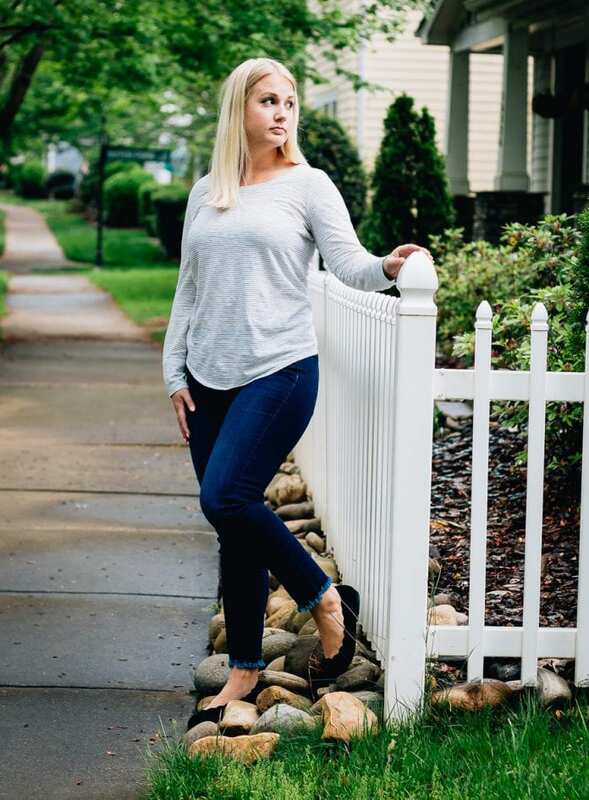 They are quickly becoming known around the world for their classic ballet flats, sandals and heels. Update your mom's shoe collection with the Ward shoe. These comfortable open toed and airy flats pair perfectly with dresses or slacks for the working mom. Another great option is the Cuff Suede shoe for that classic black look. 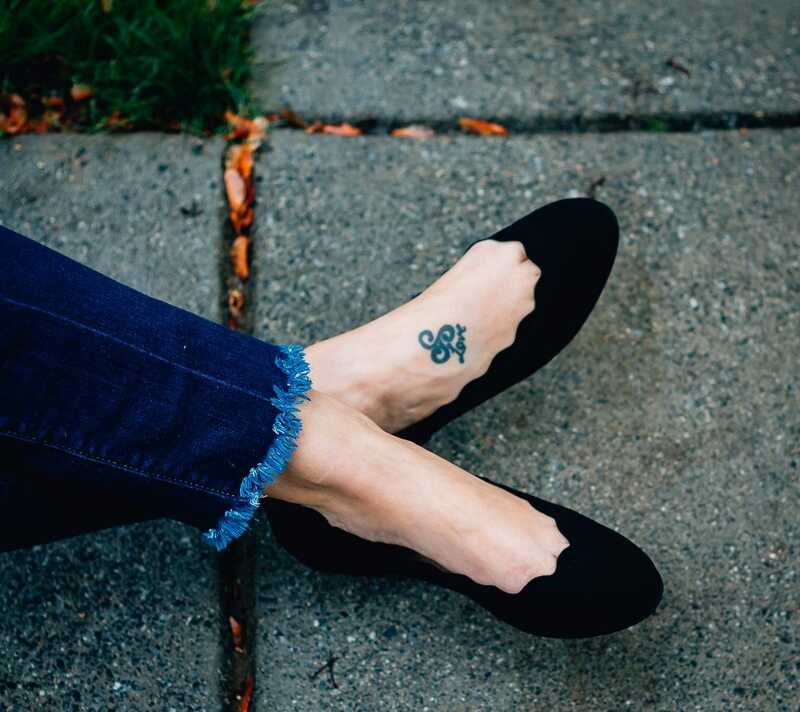 Your mom can never have too many black flats and the scallop elastic design really makes these stand out from the others. If black is not her color, the Cuff Suede shoe also comes in navy or pink. Both shoes are made with a leather sole, for extra support and durability. 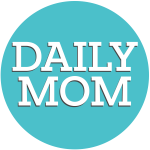 There are over 300 styles and colors to choose from to fit any mom's personality. French Sole is truly a nirvana for shoe lovers. New bed sheets are always a good gift. 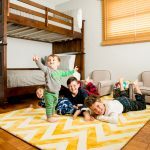 They are something that are used every single day and in order to ensure a restful nights sleep, you want a set of bed sheets that are comfortable, soft, and will hold up. The Cariloha Resort Bamboo Bed Sheets are a high quality set of sheets made from viscose of bamboo. 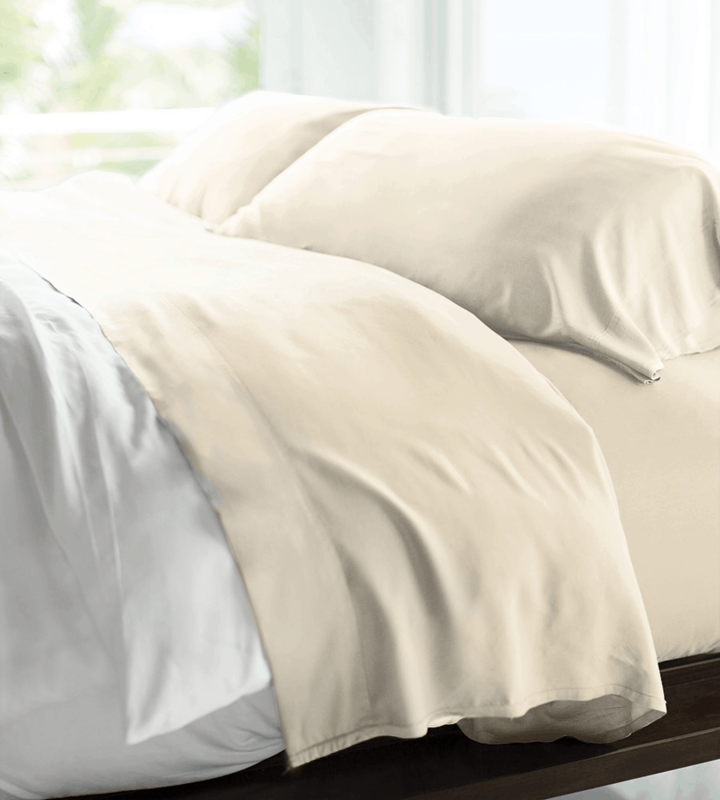 The ultra-soft sateen finish is softer than 1,000 thread count Egyptian cotton sheets making these a dream to lay on. Additionally, if you tend to get hot at night, these sheets will keep you cool with their thermal-regulating technology. Another important feature is the clean properties. 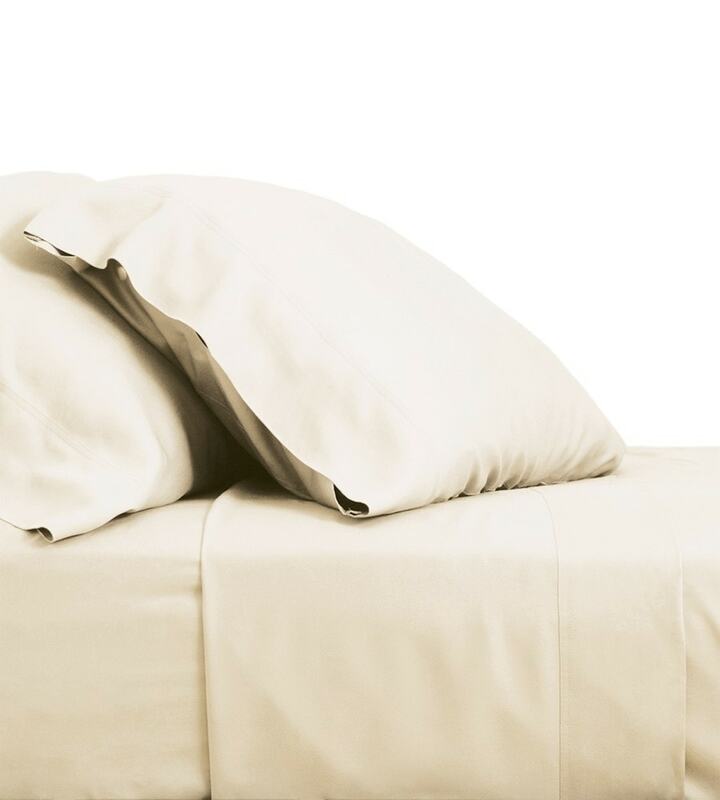 The odor and allergy-resistance help these sheets smell fresher and stay cleaner longer than traditional cotton sheets. The Cariloha Resort Bamboo Bed Sheets set includes 1 flat sheet, 1 fitted sheet, and 2 pillowcases and will fit mattresses up to 18 inches deep. These sheets come in a variety of colors and sizes to fit all bed sizes. Moms run on coffee and chaos. 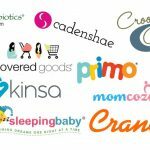 It may be a cute and catchy graphic tee slogan these days, but come on mamas we all know it's for real! Kids, work, home - no matter where and when you need to get up and go the best way to get you there is a great cup of joe. 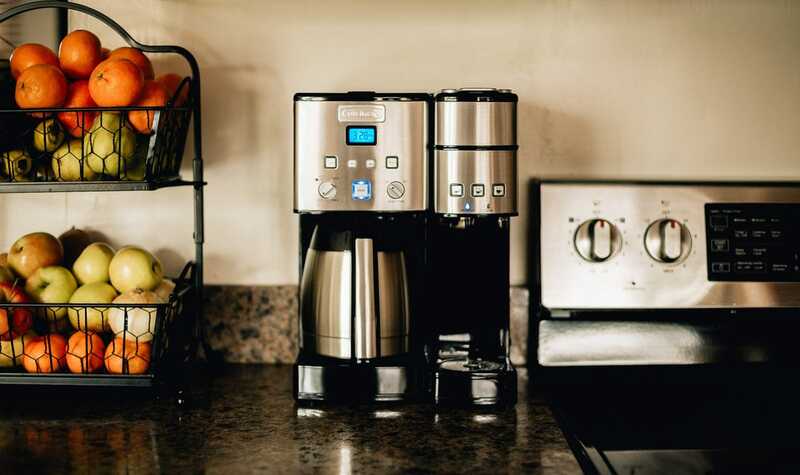 This Mother's Day treat the lady in your life to a new and improved Coffee Center from Cuisinart. 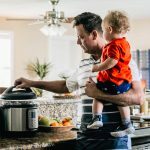 Perfect for those single weekday servings AND those weekend brunches with the grandparents, the Cuisinart Coffee Center 10 Cup Thermal Coffeemaker and Single Serve Brewer is the answer to all mom's coffee needs. With all the gourmet features you know and love from Cuisinart, the new coffee center has everything (sans your barista from Starbucks). Featuring a single serve brewer with 6 oz., 8 oz., and 10 oz. serving options, compatible with all your k-cups and the accompanying Cuisinart HomeBarista Reusable filter cup, mom can have her favorite coffee every morning in mere minutes. 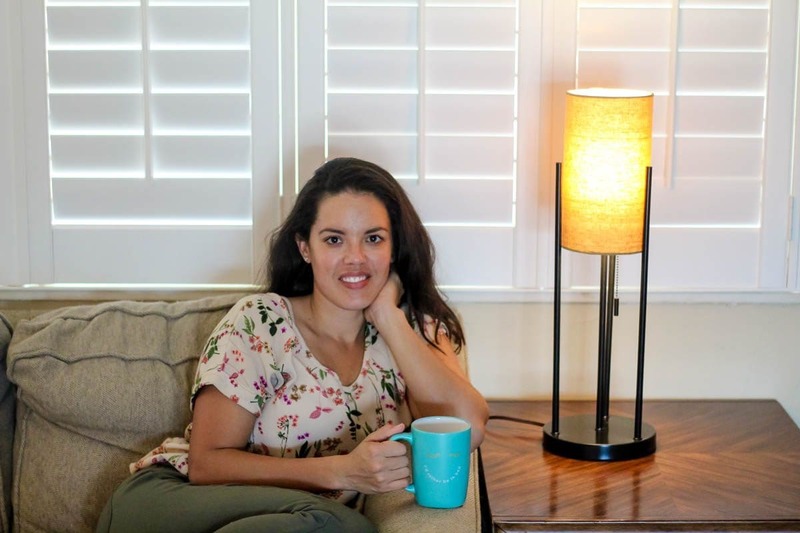 If she's serving a crowd, or prefers to wake-up to a fully brewed pot of fresh coffee, the carafe brewer holds 10 cups of coffee, features an adjustable brew strength for those who like their coffee bold, is fully automatic with a 24 hour brew start setting and alert, and even has a brew pause option for when she just can't wait any longer for that first morning wake-up. 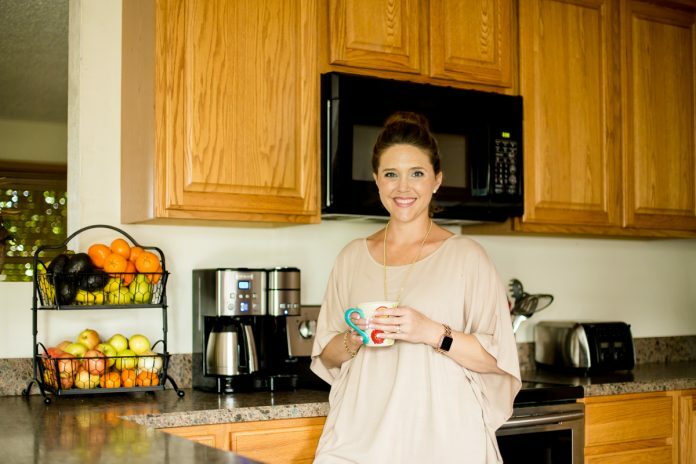 Whether you are shopping for your mom, your wife, or even your mother-in-law, every mom will love her very own Coffee Center this Mother's Day. 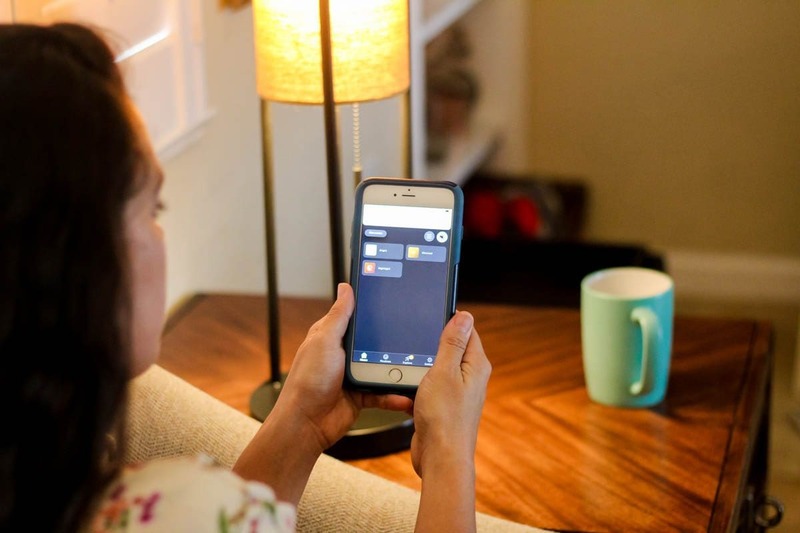 In the wave of families converting their house to a smart home, lighting can't be forgotten. The Philips Hue Starter Kit gives you everything you need to turn your regular lighting into wireless, smart lighting. 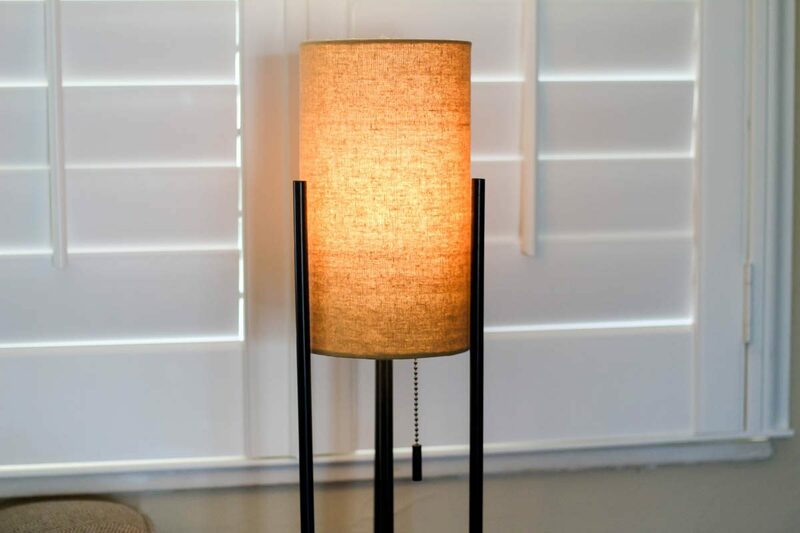 Through the use of the app or your voice with Alexa, Google, or Siri, lighting can now be controlled to turn on and off, dim, and even change colors. 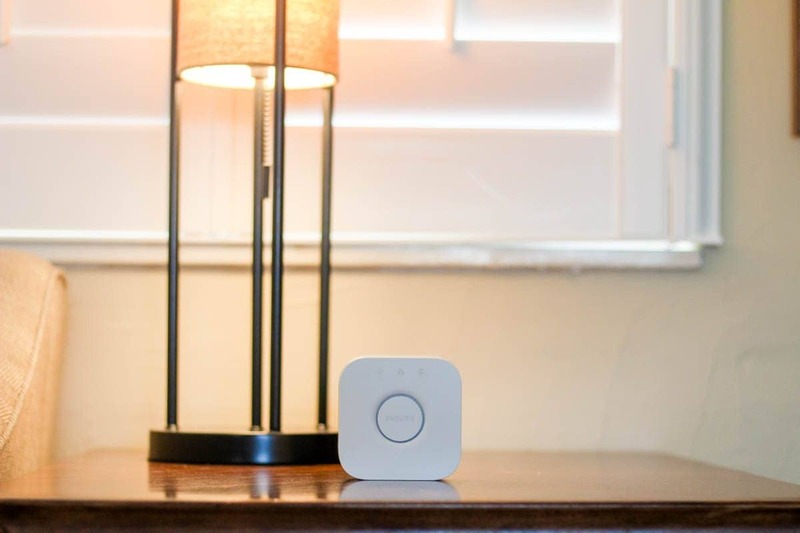 Moms will love being able to control lighting from another room or be able to have the lights on waiting for them when they return home. The Philips Hue Starter Kit includes 4 Hue white and colored light bulbs and the Hue Bridge. 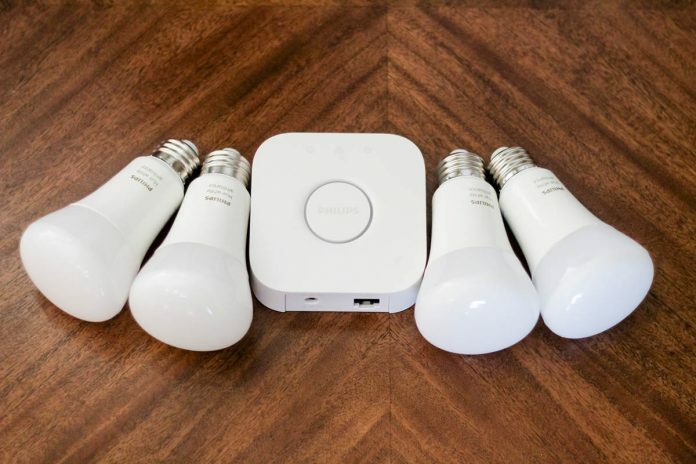 Just switch out the light bulbs with the Hue bulbs wherever you want smart lighting. 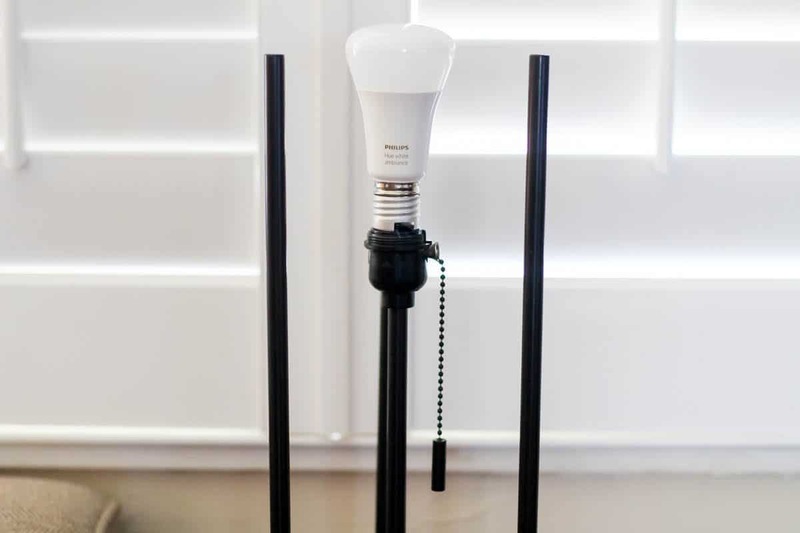 The lifetime of the Hue bulbs is an amazing 25,000 hours with an instant 100% light output. There are tons of pre-set light scenes and color combinations to choose from to turn harsh lighting into beautiful, ambient environments. If you're looking for the perfect Mother's Day gift for the wine, whiskey, or beer-loving Mama, look no further than the Original Waerator. This aerator uses air to instantly soften harsh tannins and reveal a fuller, more delicious tasting beverage. 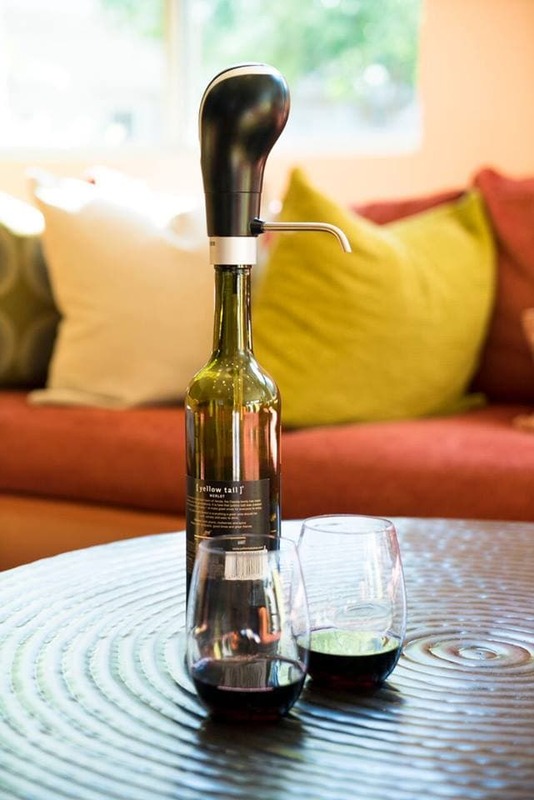 This battery-powered and lightweight aerator makes enjoying mom's favorite beverage easy, whether it's for a cozy night at home, or with friends in Napa Valley. 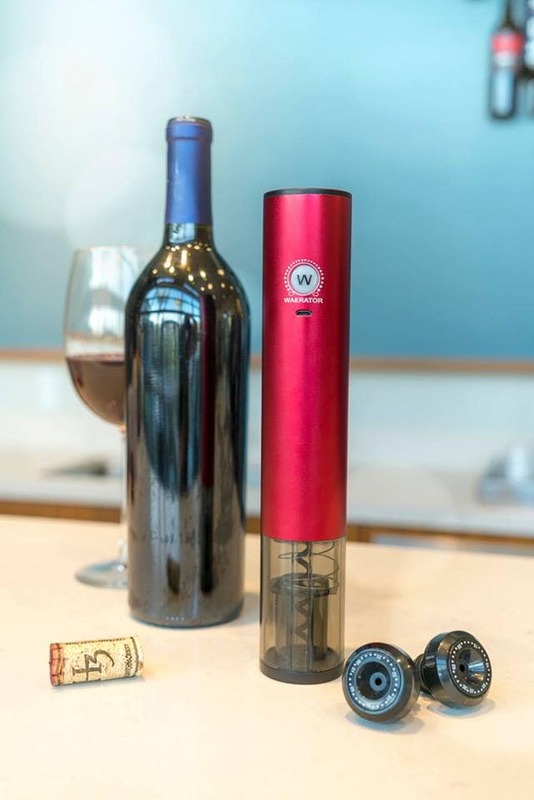 Waerator is small enough to carry in your favorite handbag or picnic basket, making a luxurious beverage experience possible with just the press of a finger. This aerator has state-of-the-art button technology, which pumps air into the wine and dispenses at 1.2 oz every two seconds, and the air-tight rubber seal will save your wine. Whether you want to enjoy one glass or an entire bottle, elegant beverages are waiting for her at the press of a button! 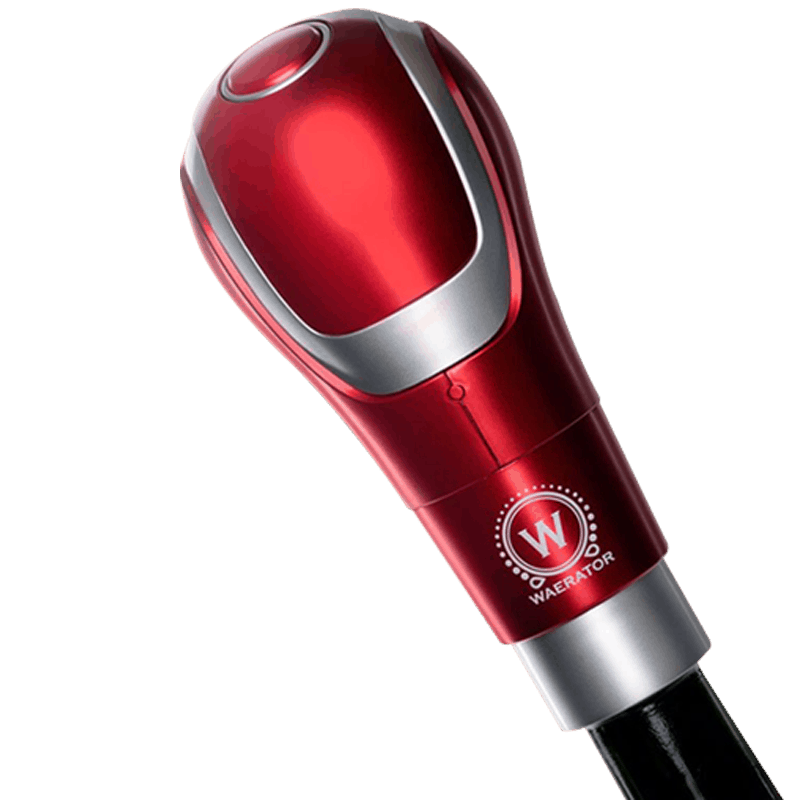 Make mom's beverage experience even easier with Waerator's 3-in-1 Wine Opener. This unique opener takes the elbow grease out of uncorking her favorite wine by removing the foil from the bottle, extracting the cork, and even re-sealing the bottle! The sleek design and beautiful color adds to the luxurious experience, and is easily stored and charged in kitchens of all sizes. The rechargeable battery makes sure that Mom always has an easy way to enjoy her wine with the press of a button. And, unlike other electric openers on the market today, this sleek machine will re-seal the bottle and keep your wine fresh for up to 10 days after opening! 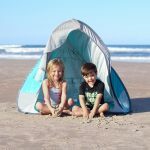 Although these gifts may be coming from you and your children, your wife will know and appreciate the thought of you helping your kids give her an amazing gift. 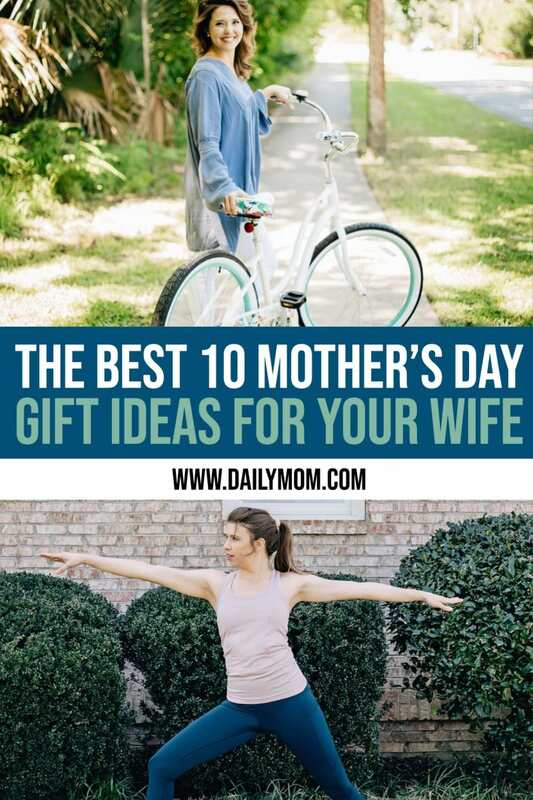 These Mother's Day gift ideas for your wife are sure to please any woman and show how much you care for her and value her as a mom. 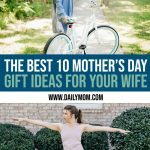 From clothing and shoes to bicycles and bed sheets, all the featured Mother's Day gift ideas for your wife will surely have her surprised and full of joy as she enjoys her new gift. 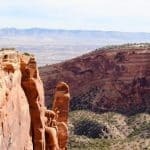 For more Mother's Day gift ideas for wife, be sure to check out our other Mother's Day gift guides.